Too often, nurses are unsung heroes of the medical community. In fact, they are key members of any healthcare team, but their skills and contributions go unrecognized time and time again. 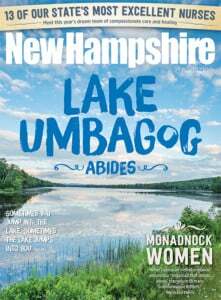 New Hampshire Magazine, in partnership with the New Hampshire Nurses Association, wants to help change that with the Excellence in Nursing Awards. This past winter, we accepted nominations for New Hampshire nurses in 13 vital specialties, from pediatrics and public health to leadership and education. The winners were selected by an independent committee of nursing leaders from adjoining states. Each nurse profiled in the following pages represents the very best in nursing — those who go above and beyond to comfort, heal and teach. Emergencies are stressful — dealing with them day in and day out is daunting, and yet that’s exactly what Michelle Poirier has chosen to do. So how does she deal with such a high-stress environment? Passion, says Poirier, is the key. “As nurses, we are sometimes exposed to the sad or unfair parts of life,” she says. “Being passionate about what you’re doing helps keep you going on the hard days.” In addition to her primary role in the emergency department, Poirier is also specially trained to provide comprehensive, compassionate and uninterrupted care to sexual assault survivors with an emphasis on reducing both physical and psychological trauma, while also ensuring evidence is properly collected. If healthcare mostly seems like a personal matter, Bobbie Bagley has a different perspective. In her last year of nursing school she learned of the transformative efforts of Lillian Wald, a nurse whose work among impoverished immigrants of New York City in the 1890s became the model for public health nursing that aims to heal societal illnesses along with those of individuals. 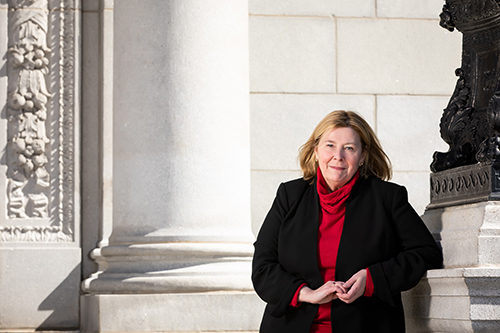 Bagley now works in the immigrant-rich neighborhoods of Nashua as city director of the Division of Public Health and Community Services, managing programs and initiatives to prevent the spread of disease and respond to emergencies and emerging health issues. Most kids think they know what they want to be when they grow up — but dreams often fall by the wayside. For 8-year-old Ericka Bergeron, caring for patients was what she longed to do and she stuck with it. 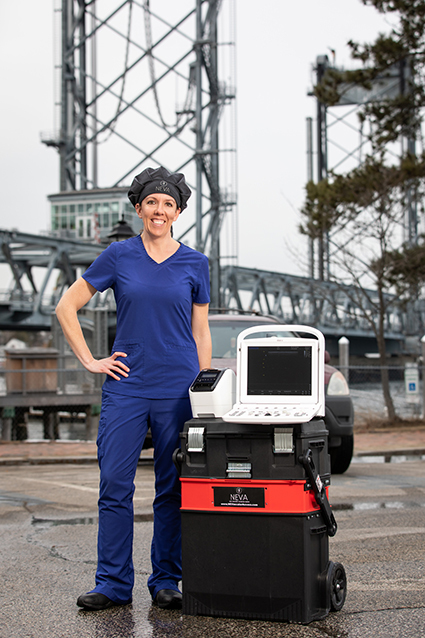 She began at Dartmouth-Hitchcock Medical Center (DHMC) as a dietary host, delivering meal trays to patients, and this confirmed that her childhood dream was her calling. 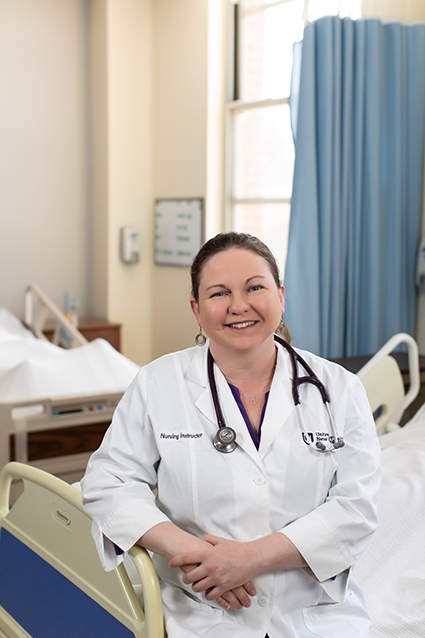 She got her BS in nursing at West Virginia Wesleyan College, then returned to DHMC, starting as licensed nursing assistant on the inpatient orthopedic and trauma unit. After 10 years in the unit, she accepted a nurse manager position within the Children’s Hospital at Dartmouth-Hitchcock pediatric clinics. Bergeron embraced this career change along with the philosophy that her team of 55 achieves “a level of professionalism in every interaction” in order to “create an environment where people are empowered, respected, creative and engaged,” says Bergeron. After her first year in her new role, a nurse on her team retired after 50 years on the job. As she left, she told Bergeron she felt lucky to have had Bergeron as her last nurse manager, and praised her efforts to make a difference in their clinic. From an 8-year-old with a dream to today, it’s clear that Bergeron is doing exactly what she was meant to do. Lisa McCarthy’s first nursing job, 12-hour shifts on a behavioral health unit, was the kind that tests the resolve of new nurses, usually leading them to a more comfortable career path. McCarthy never left and two decades later, she still works in the 18-bed psychiatric unit at Southern New Hampshire Medical Center caring for patients — adolescent to adult — with acute and chronic psychiatric disorders. Years later as a charge nurse, she is now able to be the one with answers and she uses them to de-escalate the situations that arise in a psychiatric unit. “I usually tell patients I hope they are well enough that I never see them here again, but if they are going through a tough time again, they are always welcome back to our unit,” says McCarthy. No one enjoys getting stuck with needles. 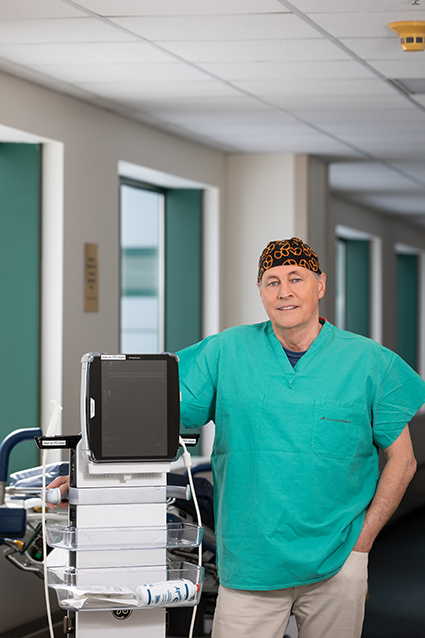 For Paul Hodgdon, a vascular access nurse at Dartmouth-Hitchcock Medical Center, it’s his job to make an often unpleasant — but vital — process easier on his patients. His focus is, as his title suggests, accessing veins with ultrasound for blood draws, peripheral IVs or central lines. Before his career as a nurse, he was a licensed unlimited radar observer. Basically, he says, he could be “the radar guy on any ship in the world.” During that time Hodgdon got used to interpreting the world around him on a two-dimensional screen. “Ultrasound is, essentially, radar. It’s just that my world has shrunk from 72 miles to about 1 inch,” he says. For anyone who’s dealt with a serious health condition or supported a love one through such an ordeal, you know that the amount of information you need to learn can be overwhelming. Lisa Brown hopes that when it comes to her patients, she can help make the road to recovery easier to understand. For a little over two decades, Brown has worked at Concord Hospital, where she is a bedside nurse on a progressive care unit. She cares for patients who have cardiac conditions such as heart failure, rhythm problems or have suffered a heart attack. Some patients may have undergone cardiothoracic surgery or an interventional procedure, such as a cardiac stent. 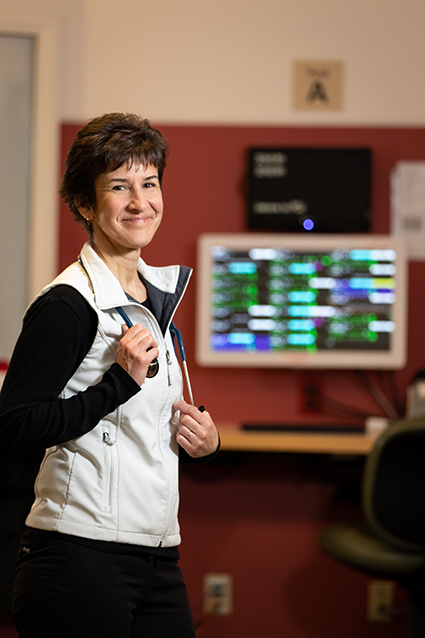 Currently, she’s using her years of experience to complete the last step of Concord Hospital’s Advancement In Nursing program by creating two educational videos for patients who have coronary artery disease. 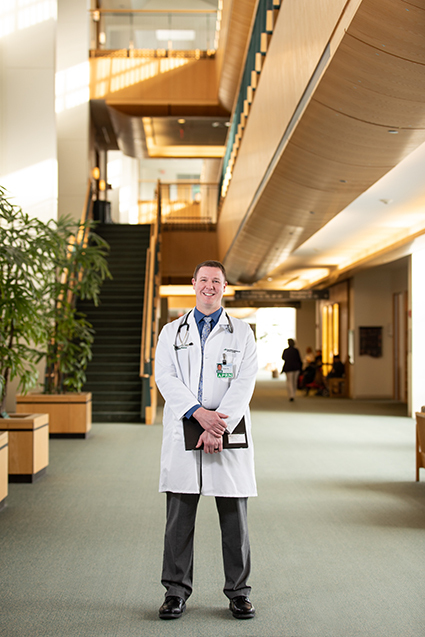 “I receive great satisfaction from teaching patients about their medical condition, new medications and lifestyle changes they may need to make,” says Brown. When the time is right, patients can watch the videos, as can their loved ones so they too can help with recovery. 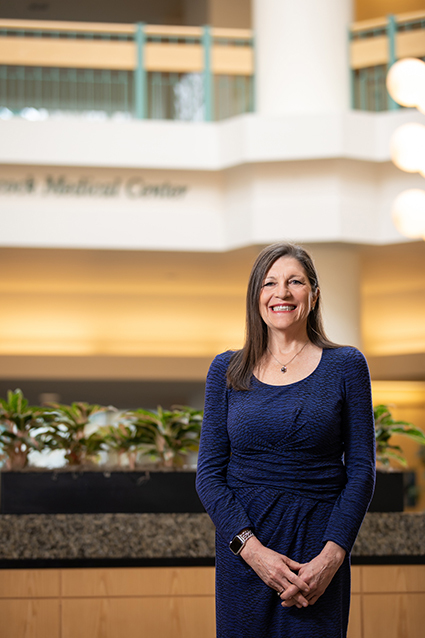 “Patients are always very thankful to be provided information, and it is rewarding to help patients realize that their initial setback is the start of a new journey toward improved health,” she says. Palliative care, or, simply put, helping to improve the lives of those dealing with serious illnesses, is challenging, and yet rewarding. 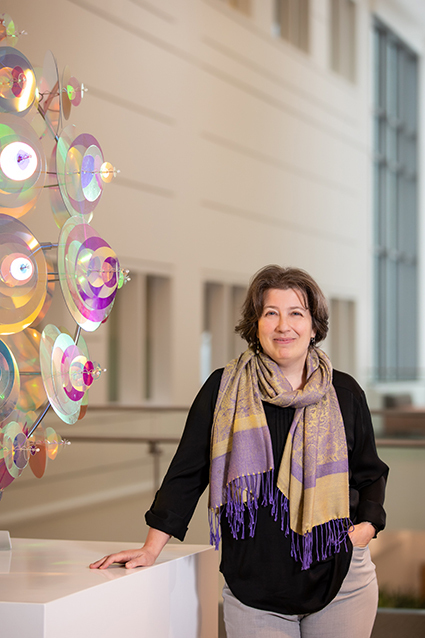 It requires clinical and communications skills, kindness, and more importantly, the ability to accept the person and their circumstances, says Kathleen Broglio, a nurse practitioner in palliative care at Dartmouth-Hitchcock Medical Center. Broglio possesses all of these qualities, using her considerable skills in her specialty of caring for those who have complex pain and/or substance misuse disorders, ensuring their pain and symptoms are well managed. 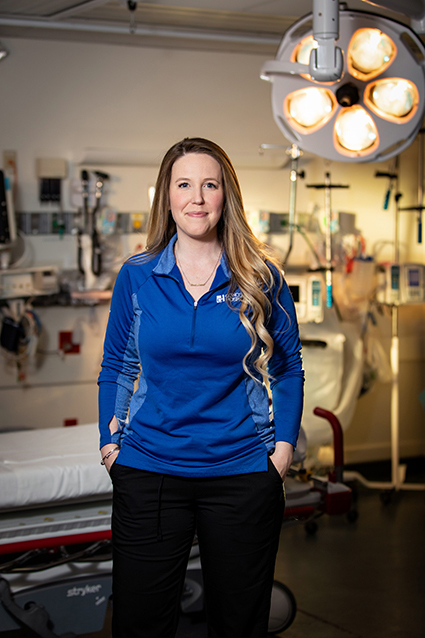 Originally trained as an EMT, Kerry Nolte was no stranger to the skills needed to deal with complex health-related problems. Nolte used her EMT background as inspiration to begin her nursing career at Northeastern University, where she eventually graduated with a PhD. 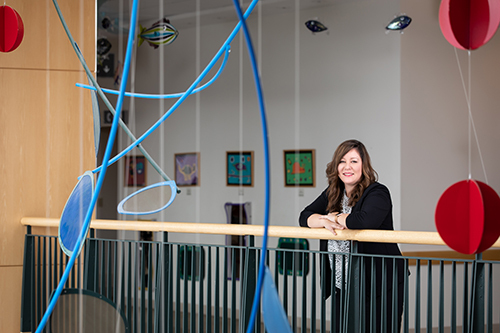 After receiving her degree, Nolte became a family nurse practitioner — it was later on in her career that her focus turned to providing compassionate care to those who misuse drugs. Throughout her career in nursing, Nolte was aware that the human element of her profession was just as important as the technical skills she had acquired. She credits Barbara Guthrie, her adviser at Northeastern, for developing her passion for nursing by “believing in me wholeheartedly,” she says. 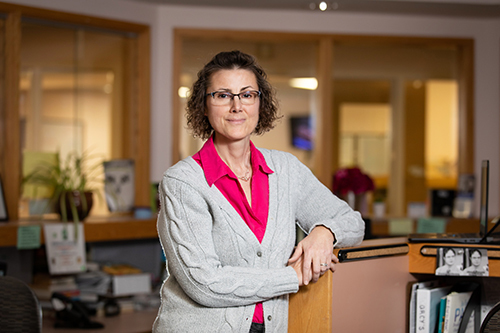 Now, Nolte is the assistant professor of nursing at the University of New Hampshire, where she provides the same support to her students that she once received. One of the most enjoyable parts of her job, she says, is when she gets to interact with students during her research, as it “provides a great learning experience for both of us.” In addition to her teaching and research, Nolte is also a founding member and current chair of the New Hampshire Harm Reduction Coalition, a statewide organization that develops, supports and promotes policies, practices and programs that reduce the harmful consequences of substance use and misuse. Daisy Goodman often thinks of one patient’s story. While working as a fairly new provider at a community hospital, one of Goodman’s prenatal patients was courageous enough to share that she was addicted to opioid painkillers. She asked for help, but the only treatment program was a methadone clinic located two hours from her home. Each day during her pregnancy, says Goodman, her patient made the four-hour trip, even during the New England winter, because she wanted to do the best she could to protect her baby. 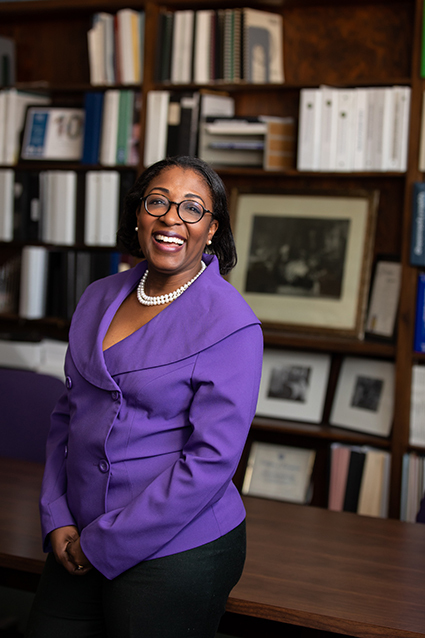 “Her commitment made me go back to school to pursue my doctoral degree, to study how we might be able to better meet the needs of rural pregnant women with opioid use disorders,” says Goodman. She started her professional career in the nonprofit sector, and chose to go back to school for nursing after the birth of her first child. She received her ADRN from what was then Berlin Community Technical College in northern New Hampshire, and went on to study midwifery and women’s health at the Frontier School of Midwifery and Family Nursing in Kentucky. Today, her work focuses on improving healthcare for vulnerable populations, and specifically on the topic of perinatal substance use disorders. She also provides clinical care as part of Dartmouth-Hitchcock’s Moms in Recovery Program. Like the patient who motivated her to pursue her doctorate, it’s the people she cares for who inspire her every day. “[My patients] are doing their best to take good care of themselves despite significant barriers, and deserve everything we can provide to support them,” she says. “By caring for patients at both ends of the lifespan, I learned that being compassionate and actively present with my patients has a profound effect on their journey,” says Annie Roy. 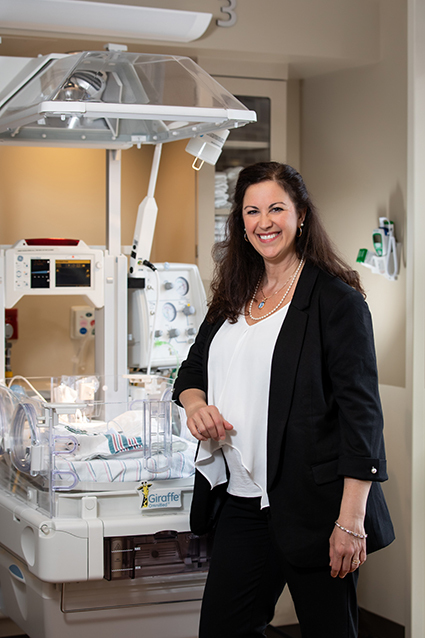 Today, as an inpatient clinical nurse leader and educator, Roy cares for mothers and newborns in Concord Hospital’s Special Care Level II Nursery. But that’s not the way Roy’s career began. She started out in Montreal in 1989 as a palliative care nurse — it was three years later she chose to switch specialties. And now, over 30 years later, she still finds the same joy in her job that she felt on day one. Nancy Wells started in the healthcare “trenches” as a school nurse, advancing to become a consultant for the NH Department of Education, and now works as an advocate for school nurses and their students through the NH School Nurses Association and the NH Asthma Collaborative. It was during a volunteer service project at Winnacunnet High School that she realized her calling. “I saw firsthand the full scope of [the nurse’s] role,” says Wells. Then as nurse at Garrison School in Dover she found herself “supporting students with acute and chronic health conditions, integrating health and education, and coordinating with families, health care providers, and community resources.” Since school is a place where many health challenges are first encountered and where the ravages of poverty, hunger and violence are exposed in the young lives of students, it’s also the place to have the biggest impact on young lives. Best practices taught in school can last a lifetime and can help countless others along the way.